After years of eating organic food at home, I’ve started to appreciate the natural flavours and sweetness of organic produce. Instead of our usual lunch place in Bangsar Village, I decided to take mum to Eco Oasis for an early Mother’s Day lunch. She’s been wanting to go there since late last year, so I figured this would be a good occasion and place to treat her. 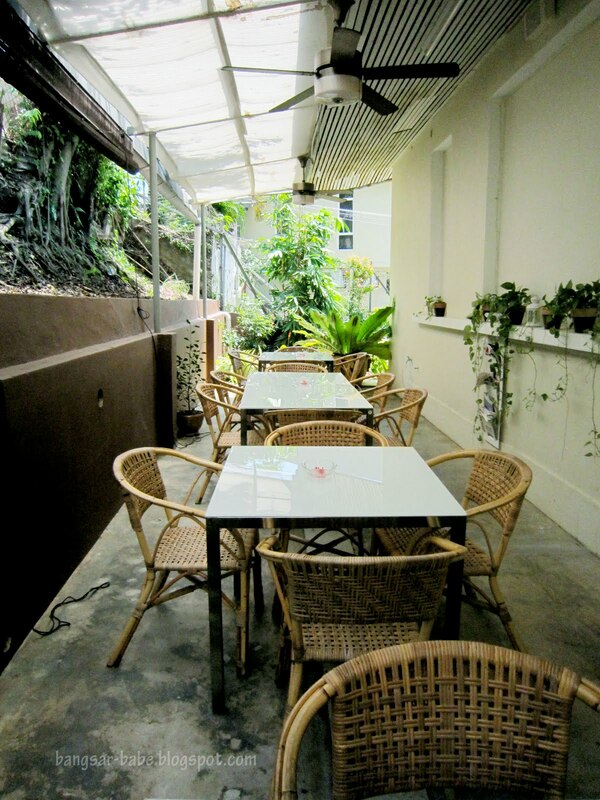 Eco Oasis is a bungalow-cafe-shop-spa that is located on top of a hill in Jalan Riong. 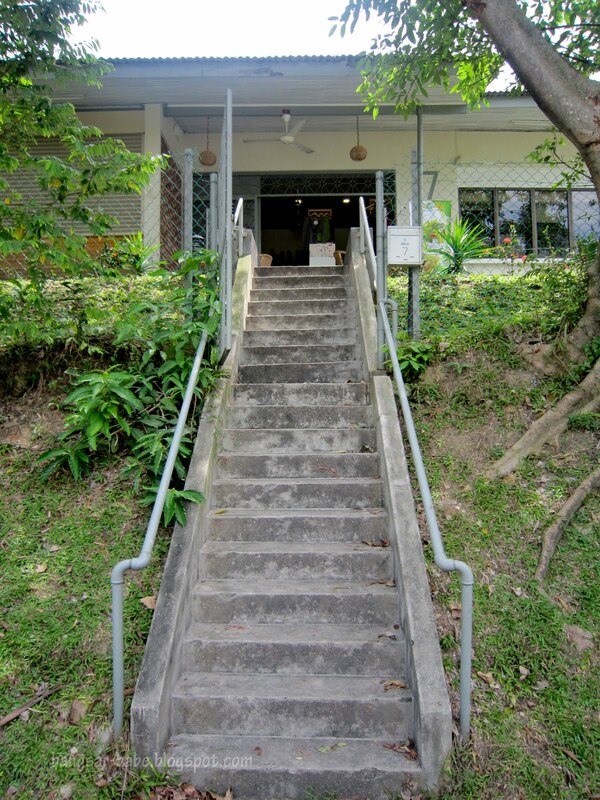 The shop sells organic items from food and drinks to cosmetics and organic cotton t-shirts. I liked the calm and soothing ambiance, but the place felt rather humid — no air-conditioning, just ceiling fans in an al-fresco setting. 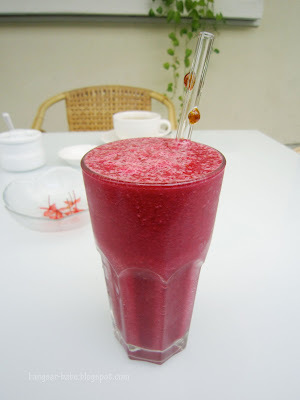 The Purple Purifier (RM12) which comprised beetroot, watermelon and banana blended without any sugar, was quite good. This was just like how mum makes juices, only nicer. 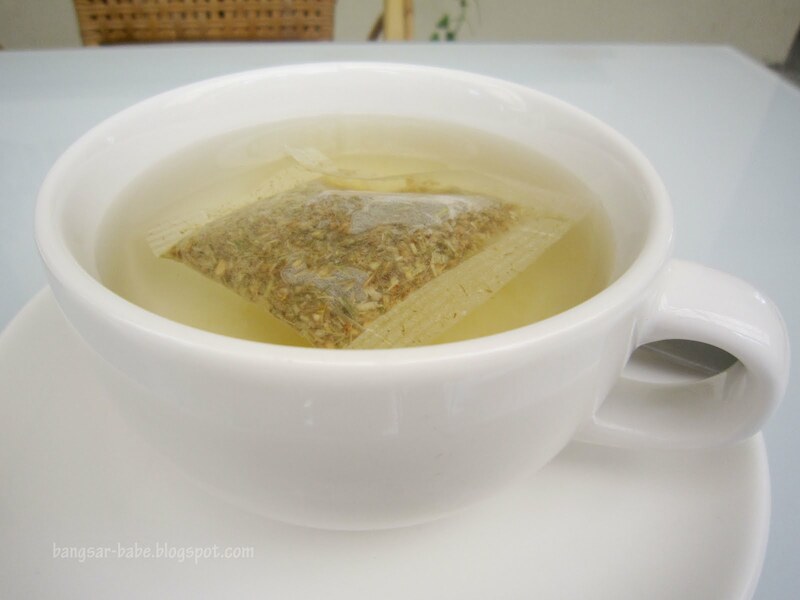 Take note that this is very good for those suffering from constipation. I reckon mum is now lusting after the juicer at Eco Oasis to add to her collection of juicers. Her lemon grass tea (RM4.90) was nothing to shout about. 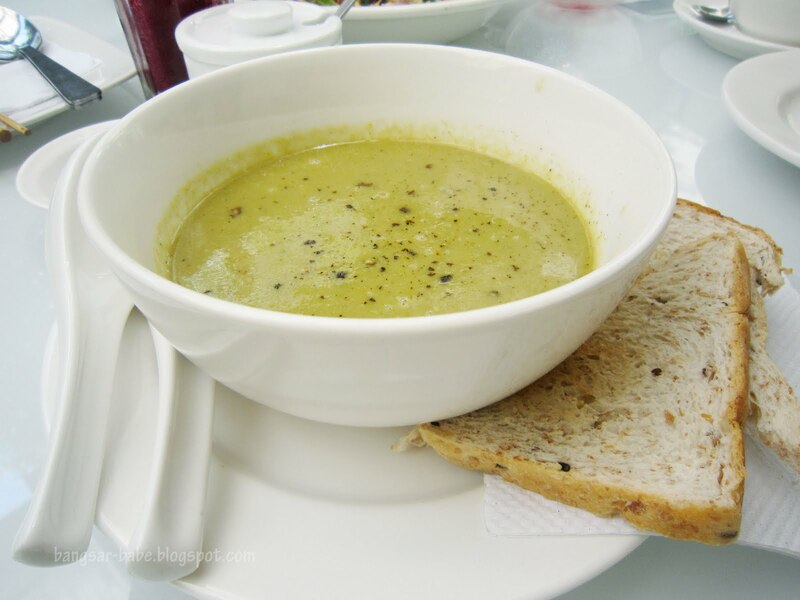 We initially wanted the mushroom soup, but the staff who took our order mentioned broccoli soup as their soup of the day. Guessing which soup my mum would choose was a no-brainer. Luckily, the broccoli soup (RM8) from Eco Oasis tasted better than the one she makes at home. 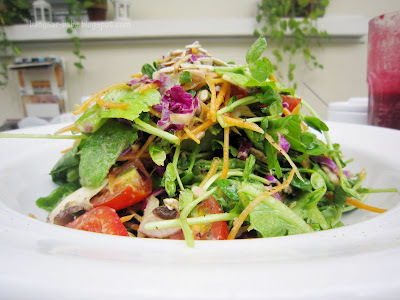 The Mixed Greens, Raw Veggies and Sunflower Seeds on Avocado Basil Dressing salad (RM17.50) was a heaping portion. I really enjoyed this. 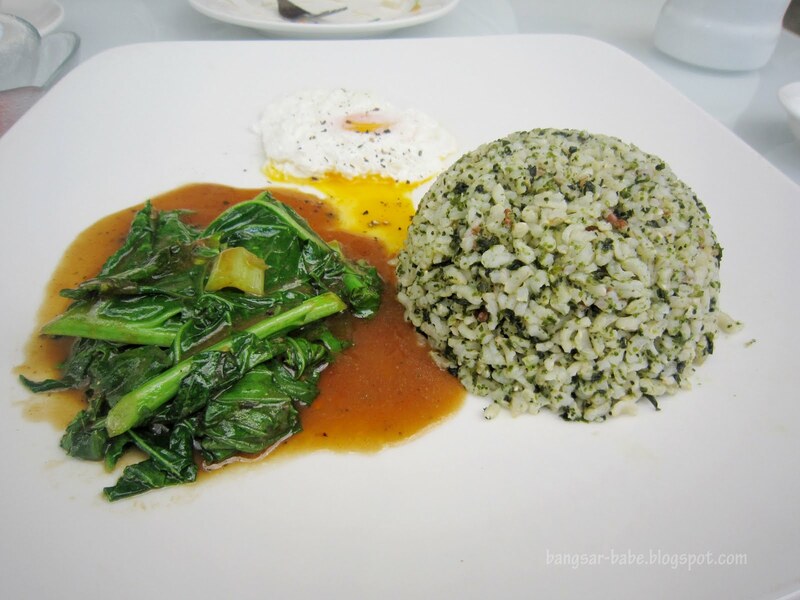 Flavours were ‘clean’, the vegetables were crisp and the dressing was creamy and aromatic. If all organic salads taste this good, I wouldn’t mind having salad for lunch every day. I opted for the Seaweed Fried Rice with vegetables and poached egg (RM12.50) while mum had the Lemon Grass Fried Bee Hoon (RM18.50). Both were delicious, but I thought my rice was better. The rice had a firm, yet moist texture while the runny poached egg gave it a richer flavour. Good stuff! If you’re not a fan of lemongrass, chances are, you wouldn’t enjoy the lemon grass bee hoon. 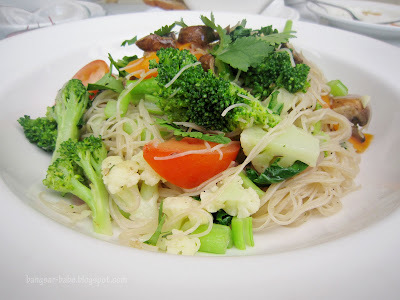 The bee hoon was slightly thicker than usual so it had a fuller, more satisfying bite. Portions were pretty big, so my advice is to share. Note that the kitchen is pretty small, so your food might take a while to be served. We waited for more than 30 minutes for ours. I suggest you take a leisurely lunch to enjoy the whole experience. Verdict: Great selection of juices, hearty portions and ‘clean’ flavours. The whole meal looks so very healthy! I like brocolli soup! 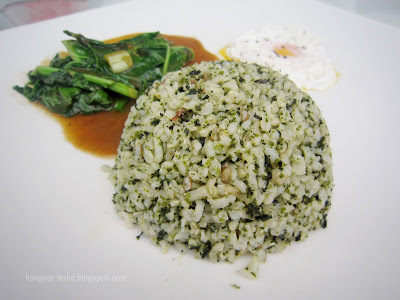 should try another place called Ganga, a small restaurant down the fishy roads in bangsar near the NST building. They are indian organic food wihch comes from their own farm..
Good for a try? The TTDI one was good to me. Sashi – Thanks for the recommendation. 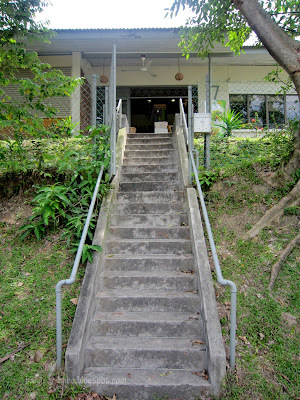 Is it in Lorong Kurau?